David Hawk returned to the United States from Cambodia in 1981 with documentation of horrifying genocide. Between one and three million people out of a population of seven million had been killed and an entire culture had been systematically broken down with the intent to destroy it. Armed with photographs, written records, and oral testimony of the Khmer Rouge’s brutal atrocities, David challenged the world community to condemn the events that took place in Cambodia from 1975 to 1978 and those who orchestrated them. Seventeen years later, Pol Pot is dead, and the world has yet to bring the Khmer Rouge leaders to justice. But David has continued his campaign for truth—documenting and raising international awareness of the nature and extent of the Cambodian genocide, and gaining powerful allies in his effort to secure justice. 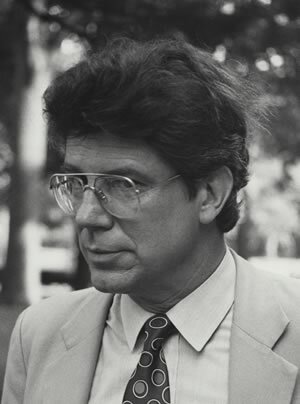 While earning his Master of Divinity degree, David was active in the anti-Vietnam War movement, first as an advance man for Eugene McCarthy and then as a co-founder of the Vietnam Moratorium Committee. In 1971, he designed an ecumenical conference and commission on U.S. policy in Indochina for the National Council of Churches. From 1974 to 1978, David was the Executive Director of Amnesty International USA, which he expanded from a staff of three and a $250,000 budget to national organization with 20 staff members and a $2 million budget. In 1978, Amnesty won a Nobel Prize for its human rights work. In 1980, David became the Director of the World Conference on Religion and Peace’s Khmer Program in Thailand, where he monitored the United Nations humanitarian relief operation for Cambodian refugees. He began collecting refugee testimony about systematic murder, torture, forced migration and labor, and death from malnutrition and disease. At the end of the year, he was among the first Westerners allowed into Cambodia by the Vietnamese controlled government, which had taken over from the Khmer Rouge. During this first trip he took pictures of mass graves, prisons and torture chambers, and collected photos of prisoners from the files of Tuol Sleng prison and execution center. This documentation would be the center piece of his work for the next 18 years. David has committed his life to documenting and urging the world community to address the Cambodian genocide, as well as to working “to assist the government and people of Cambodia in their efforts to achieve democracy, the rule of law, and the respect for human rights.” As the Executive Director of the Cambodia Documentation Commission, David spent nine years preparing a complaint against the Khmer Rouge in the World Court, monitoring the U.N. peacekeeping mission, and coordinating various academic, legal, and country specialists’ research on the country’s recent history. Since 1995, David has been Chief of the Education, Training and Information Unit of the U.N. Center for Human Rights in Phnom Penh, Cambodia. He is working to assist indigenous NGOs to carry out their activities at the provincial and district levels and to include more information on women’s and children’s rights, particularly child trafficking and sexual exploitation, in human rights educational programs in Cambodia. David Hawk’s work has taken him far from his family and friends for great lengths of time and has been funded on a shoe-string. Although much of his agenda has been opposed by governments attempting to avoid conflict with China over its vested interests in Cambodia, David has doggedly, consistently, and courageously pursued his work. With the experience of Bosnia and Rwanda weighing on the world’s conscience and with the campaign to establish an International Criminal Court gathering force, David Hawk has been proven to be a prophet in his own time.